As Phil pointed out in response to my previous Black Alice article, the origin of the name comes from a mythical creature from the Dane hills in Leicestershire, England (though one reference says the Scottish moorlands) called Black Annis. She is sometimes identified as a later corruption of the celtic goddess Anu or Danu, rewritten as an evil monster. Black Annis is usually described as an old crone with a blue face, sometimes with only one eye, who lived in a cave called "Black Annis' Bower Close". Situated in front of it is a great oak in which she hides to leap out and catch and devour stray children and lambs. One particularly interesting facet of all the various descriptions of her is that she has long sharp claws. These are sometimes described as made of iron. In fact the cave she lives in is said to have been cut out of the rock by Black Annis using these claws. Quite obviously the modern version of the name, Black Alice has gone to the wrong comic character. There was maybe some mix up in the mail and it got sent to DC instead of Marvel. So Marvel were stuck with using the index label "X23" while waiting for a new name to be delivered. See: Morrison, Grant. "Doom Patrol"
I love the weather hag folk traditions of Great Britain: Black Annis, Gentle Annie, the Cailleach Bheur, Cally Berry, et al. But I don't see a connection to DC's Black Alice. The only things Alice and Annis appear to have in common are an "evil" leaning and "black" as a modifier (tied, certainly to that "evil" leaning). Black Alice (or even Black Annis) would've been a much cooler name for X-23 than, erm, X-23. I mean, X-23?!? Really rolls off the tongue, eh? 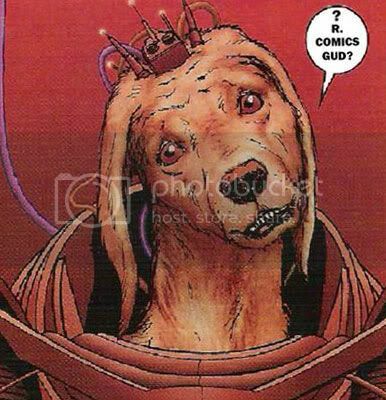 If that's all they can come up with nowadays then no wonder things are going downhill at Marvel. First we had names like Superman and Spiderman. Then punchy names like Storm and Impulse. 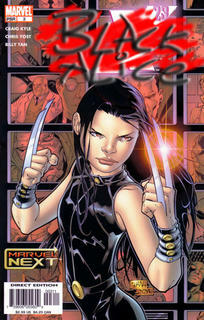 Now X-23. What next? M-25? Heh. M-25. Presumably a variation on Jack Hawksmoor, except his abilities are limited to the congested roads in the London area rather than urban centres. "We need to get to Doncaster!" 0802jejeLes personnes chaussure nike homme blanche qui investissent dans Loctite GO2 Glue peuvent nike air max classic homme pas cher l'utiliser sans problème car c'est un nike air max thea homme soldes produit extrêmement convivial. Vous trouverez des organisations asos basket nike homme et des associations existantes pour asics gel noosa tri 11 France chaque pays et pour chaque région qui nike air max 1 homme visent à mettre en commun ces ophtalmologistes.